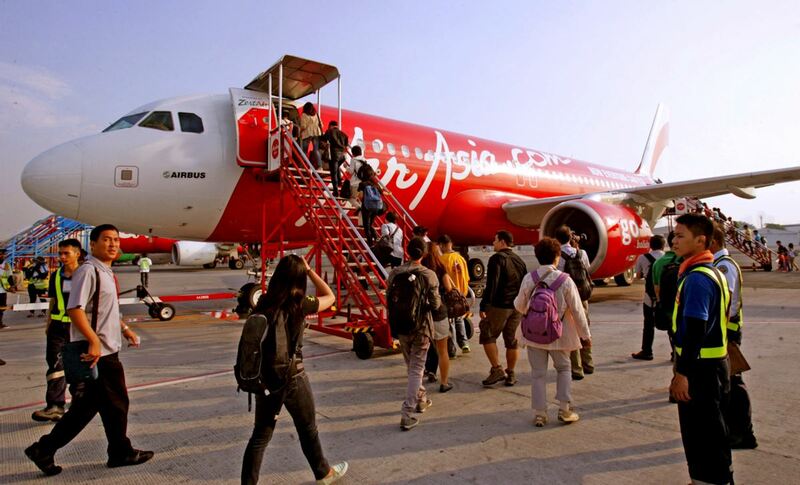 Air Asia’s branding ‘now everyone can fly’ has become true for Thailand aircraft arrivals. Thailand’s economy relies heavily on tourism. The industry contributes an enormous chunk of the country’s GDP. Whilst 10 years ago, the industry contributed about 6.5% of Thailand’s GDP, lately it’s estimated that it contributes between 9 and 10%. So, when in 2014, the tourist arrivals dropped, for the first time since 2000, it was a big deal. 2014 was a year of political turmoil and protests but, despite the bad PR, Thailand’s teflon tourist industry only dropped 8% to rebound the following year by an astonishing 20%. For 2016 the tourist arrivals will surpass 30 million passenger arrivals unless something truly bad happens – like they ban ping-pons shows or run out of noodles (actually ping-pong shows are strictly illegal anyway but, well….) It should be noted that the total numbers of tourists tripled from 2000 to 2016. These are statistics any country would die for. But relying so heavily on one industry also has a downside. What happens if the tourists lose interests or they find some other exotic place to visit instead? All that might happen, and hell might freeze over too. But all the signs are for Thai tourism to keep surging forward and the infrastructure continues to roll out to meet this growing demand. The Government are extremely unlikely – military, civilian, red shirt, yellow shirt – to do anything that could possibly cook the golden goose. So an understanding of where the tourists are coming from is a vital piece of the puzzle for investors, companies in the tourism game and, well, anyone interested in Thailand’s future. Information published by Phuket’s C9hotelworks.com provides some statistics that paint the tourist picture for the next 12 months or so. These numbers indicate flights from various countries and regions around the world. It will probably come as no surprise that the biggest chunk of flights for 2015 came out of China. In fact it adds up to more than a third of the total flights into the Land of Smiles. That’s a massive statistic. But, you would think, hooking your tourist wagon to the Chinese middle-class tourist train is a smart long-term strategy. About one third of the total flight numbers are, unsurprisingly, coming from our next-door neighbours in South-East Asia – Singapore, Malaysia, Indonesia, The Philippines and Vietnam. The remaining 25% flights come from (in descending order) Eastern Europe, North Asia (Japan,South Korea), the Middle East, Australia and then Western Europe. From the figures we can surmise that the little Aussie island continues to be a staunch supporter of brand Thailand. The small population of 23 million people seem to love coming to the Land of Smiles. Per capita Australians are the biggest fans of Thailand in the world. The other key figure is the huge drop in Western European support for holidaying in Thailand. The problems with the Euro since 2008 seem to continue to weigh heavily on the tourism spend into Asia from Europe and the UK. The Eastern Europe numbers, mostly Russia, have improved slightly but are well off their heyday of 2013/2014. Tourism is, at its heart, a numbers game. For Thailand’s tourist hot spots – Pattaya, Phuket, Chiang Mai and, of course, Bangkok, it’s an easy sum. Either the arrivals are going up or they’re going down. The latest numbers, on an ever-upward trajectory, bode well for the Thai property market as well when more of the world is exposed to the value and quality of the property stocks already available, and more on the way. Previous articleGoing Troppo – Phuket or Koh Samui?